Imagine, you’re an oil and gas operator working in a harsh, remote, or politically unstable environment, and you suspect there’s a problem with one of your assets. You have two options. Option one: you send personnel into a potentially dangerous situation to investigate. Option two: you don’t. Which do you choose? It’s not a trick question; there isn’t a catch. It’s a decision faced by operators the world over every day, and if it seems like an obvious choice, it wasn’t always. In the past, manning assets either permanently or temporarily – high-risk region or not – was the only way to capture important inspection data or carry out essential maintenance. If you picked option two, you might have to go without, to the potential detriment of the operation. But that’s no longer always the case. 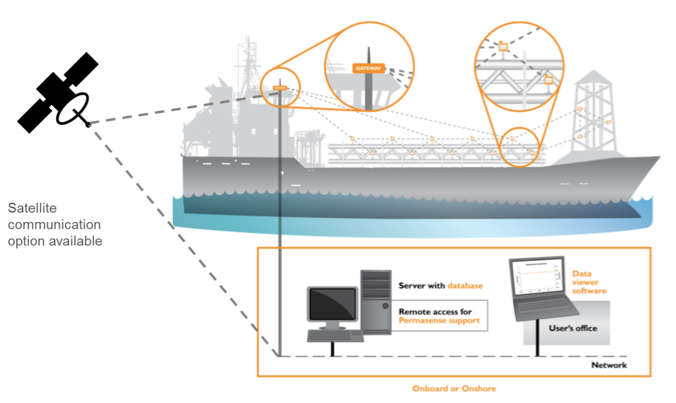 Remote monitoring solutions are making it possible to choose the second option without forgoing the essential data gathering that keeps assets safely operating – in many cases adding significant business value too. Oil and gas is an inherently risky industry. Even though health and safety standards are continuously improving, oil and gas operations still involve working with hazardous materials, often at elevated pressures and temperatures, and in remote and/or extreme environments. The regions operations are expanding to aren’t getting any safer either. We’ve seen a sharp rise in piracy and militant attacks off the coast of Nigeria. In the first two months of 2016, there were 24 cases of “piracy and armed robbery at sea,” double the number of attacks in the closing two months of 2015. Normally stable Kazakhstan recently saw terrorist related shootings in Aktobe, which was also the site of the country’s first suicide bombing in 2011. That’s not even to mention the continued terrorist threat across much of the Middle East and North Africa, or the growing piracy threat off the East Coast of Africa. There are instances of good news, such as the recent truce between FARC and the Colombian government after 60 years of warfare, but overall, geopolitical risks to oil and gas operations don’t seem to be fading. But it’s not just geopolitical risk that operators have to contend with. Today, companies operate in regions where the environment itself poses significant challenges. Despite the threat of extreme cold or violent and unpredictable weather systems, new frontiers such as the remote Arctic or deep water Gulf of Mexico continue to tempt the bold and the adventurous. Putting people in the field always adds a certain amount of risk. One simple way to reduce this risk is to rely less on mobilizing personnel and more on deploying technology to monitor assets remotely. Some companies are already embracing this way of thinking. For example, BP’s Technology Outlook suggests that digital technologies have great potential to reduce risk, optimize production, and contribute to more efficient operations. According to a recent poll at the Data-Driven Production Conference held this past June in Houston, 87%of respondents intend to accelerate their use of Remote Operation Centres. Asset integrity is one area where this is becoming a reality. For example, permanently-mounted sensors attached to strategic points in the infrastructure can take continuous, robust measurements of equipment wall thickness to monitor for the effects of corrosion or erosion (Figure 1). Then, using wireless technology, they send the gathered data for analysis at a central, safe, convenient location, onshore or offshore. Figure 1. Permanently installed wall thickness sensors, shown here on an FPSO, deliver continuous data to the desks of the onshore engineering team. There is no need for guess work. At any given time, operators can gain immediate insight into exactly how their assets are coping with the demands placed upon them by ever-changing operating conditions; all from the comfort of their desks, without mobilizing technicians into the field. Hard choices for long-term survival?